In mid-June, the American Professional Society on the Abuse of Children hosted its Advanced Training Summit in Portland, Maine. This year, the meeting included a prevention track, which greatly increased the number of prevention-oriented programming at the summit compared to past summits. Bart Klika, a Cohort One fellow, led the Prevention Committee’s efforts to organize this track at the meeting, which included a series of different presentations by academics and practitioners focused on prevention of child maltreatment. Other members of the Prevention Committee include Katie Maguire-Jack, a Cohort One fellow; Julia Fleckman, a Cohort Six fellow; Paul Lanier, a Cohort One fellow; and Whitney Rostad, a Cohort Two fellow. Congratulations to all Doris Duke fellows who participated in the prevention institute! Check out the following Doris Duke Fellows' updates about jobs, awards, publications, and more! Karmel Choi, a Cohort Five fellow, will start a T32 postdoctoral fellowship in Psychiatric Genetics and Translational Research at the Harvard T.H. Chan School of Public Health and Massachusetts General Hospital in July. Her research will focus on how genetic and environmental factors influence trauma and resilience across the life course. 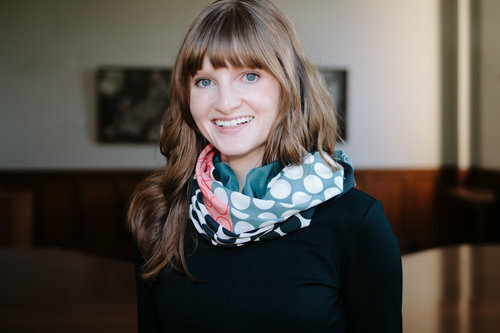 Kelly Jedd McKenzie, a Cohort Five fellow, will begin a Society for Research in Child Development (SRCD) Executive Branch Policy Fellowship this summer. Kelly will be working in the Office of the Assistant Secretary for Planning and Evaluation (ASPE) in the Department of Health and Human Services. Clinton Boyd, a Cohort Six fellow, won first place in the poster presentation competition at Morehouse School of Medicine's 2017 TCC Health Policy Research Summit, funded by the National Institute on Minority Health and Health Disparities for his presentation, “No Longer Invisible: Qualitative Findings from a Father-Centered, Home Visiting Program called SafeCare Dads to Kids." Additionally, Clinton received the Young Man of the YearAward from the Concerned Black Clergy of Metropolitan Atlanta (CBC). The CBC is a principle-centered organization comprised mainly of African-American ministers and laity. Their mission is to provide leadership, advocacy, and service to the homeless, helpless and hopeless in our community. Clinton received this award for his research, which details how fatherhood sparks a sense of purpose in the lives of ex-offender African-American fathers located throughout Metropolitan Atlanta. The Centers for Disease Control and Prevention’s Suggested Practices for Journalists Reporting on Child Abuse and Neglect provides five, detailed strategies that can be used by journalists to report on child abuse and neglect in ways that explore causes of the problem and how to prevent it, rather than simply focusing on the individual victims and families. While written with journalists and those working in the media as the intended audience, this report demonstrates the ways in which complex topics can be explained accurately in accessible language. Earlier this week, Senator Mitch McConnell (R-KY) announced a plan to delay the vote of the Senate’s legislation to appeal the Affordable Care Act until after the July 4 recess. The Senate needs 50 votes to pass the Senate’s Better Care Reconciliation Act (BCRA), which McConnell will attempt to gain between now and the vote. The Congressional Budget Office released its score of the BCRA, indicating that 22 million people would be uninsured after 10 years and medical expenses would greatly increase for those who are poor and those who are approaching retirement. By 2026, approximately 49 million people would be uninsured, compared to the 28 million who would be uninsured under current law (i.e., the Affordable Care Act). This chart from National Public Radio outlines the provisions and how they compare under the ACA, the BCRA, and the House’s American Health Care Act (AHCA).